From, the headquarters Arsenal, you can continue the journey back to Liverpool, which is located in Merseyside, England. The city is built in a low hilly area, with the highest is Mount Everton are up about 70 meters. Liverpool urban area stretching from Bootle and Crosby in the north, to the area of ​​Huyton and Prescot in the east. 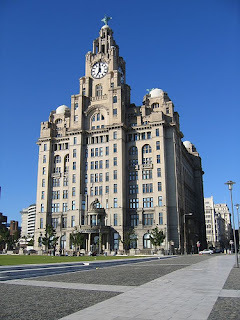 Liverpool city center itself is at about 8 kilometers from Liverpool Bay and Irish Sea. Liverpool seemed not only well known as a famous soccer club (Liverpool FC), which has Anfield Stadium, but more like the big cities of Chicago, Hamburg Berlin or Stockholm. The main reason for this city has many tourist mainstay. Starting from the Museum of Liverpool and a club for lovers of bands like The Beatles Cavern. Waterfront is an extraordinary place. This place is 'flooded' by the hotel, an exciting new buildings, cafes and much more. Liverpool Museum which is one additional attraction Waterfront. 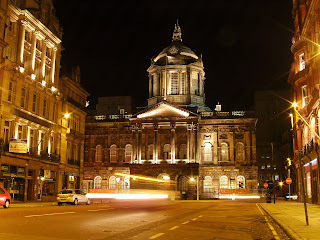 Liverpool Museum was opened in July. This museum is the latest as well as the largest national museum in Britain for 100 years. There are many stories about football and the Beatles in the form of films, recordings, artifacts and other works in there. On the Waterfront also houses containing the Beatles Story on the pop world landmarks from Liverpool, the band The Beatles. Downstairs is a 4-dimensional picture gallery they are hidden. Still there is one place that tells the legendary band the Beatles, the Cavern Club. It seems like this is the basement (like caves) which they used when performing. To commemorate them, there is live music performances there.